GAINESVILLE, Fla. -- University of Florida researchers are turning to the old-fashioned method of steaming to help treat citrus greening, a disease devastating citrus trees throughout Florida. Reza Ehsani and his UF Institute of Food and Agricultural Sciences colleagues are tenting and then enveloping trees in steam that is 136 degrees Fahrenheit for about 30 seconds in an attempt to kill the citrus greening bacterium. The disease starves the tree of nutrients and produces fruits that are green and misshapen — unsuitable for sale as fresh fruit or juice. Most infected trees die within a few years. The disease has affected millions of citrus trees in North America. “We have heat-treated about 800 trees, so far, and we are monitoring and collecting data from those trees to evaluate the effectiveness of our approach,” said Ehsani, who will present his findings Friday at the International Citrus Beverage Conference in Clearwater. He pointed out that steam treatment is not a cure because it cannot reach the trees’ root systems. “We are hoping by buying time we can keep the industry in production until a more permanent cure is found,” Ehsani said. Ehsani’s team includes postdoctoral researcher Ahmed Al-Jumaili, graduate student Stefani Leavitt, doctoral student Cininta Pertiwi and technicians Roy Sweeb and Sherrie Buchanon. In addition to steaming, they have tested various heat methods, including solar and dry heat. While results are still being tallied, they found that steaming worked best because it is fastest, made the most noticeable difference and weather variability had no noticeable effect. There are some drawbacks. Heat-treated trees usually drop their old leaves and a significant number of new shoots develop on the tree. Those tender new leaves then attract the Asian citrus psyllid, the bug that carries the greening bacterium, and so the likelihood of reinfection after treatment is extremely high. Heat treatment, also known as thermotherapy, has been used since the 1920s and was first tested to eliminate pathogens from seeds, especially bacteria. It has since been applied to other plant parts, including seedlings, roots and whole trees. It became the preferred method of treatment because it is simple, easy to use and less expensive. 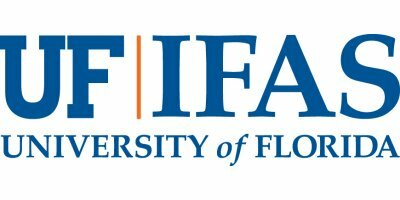 Although current methods to control the spread of citrus greening are limited to the removal and destruction of infected trees, UF/IFAS researchers are working to defeat it on a number of fronts, including trying to eradicate the psyllid, breeding citrus rootstock that shows better greening resistance and testing laboratory treatments that could be used on trees. Photo Caption: UF/IFAS researchers are using steam to treat citrus greening. No comments were found for UF/IFAS researchers use steam to treat citrus greening. Be the first to comment!